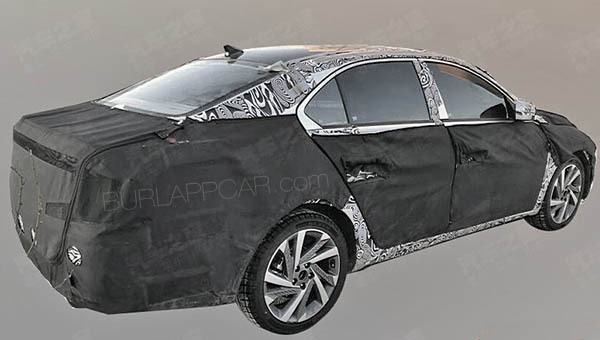 Looks like Hyundai is already hard at work on an all-new version of the Elantra. Which should be coming out not long after the all-new Sonata. Looking already quite stylish. A bit reminiscent of the new 2019 Mazda 3 sedan. The front end looks like it could be similar to what we are seeing on the Kona. With a split headlight design. This could be really nice. Another segment where there now seem to be no bad choices. With the super popular Civic, the much improved Corolla, the already well-reviewed new Mazda3. A much improved Nissan Sentra is also on its way. And now, no US brand is represented in that still important segment. WHat a shame, the Sonata and Optima look like they are finally getting more distinctive styling again, while this Elantra (much like the new Forte) seem to be going the extremely generic route. Vince, this is not an important segment in America if consumers prefer their cars to be either a Toyota, Honda, or Nissan. Hyundai, Kia, and VW barely break even. And Mazda... one of the most under-rated and best-designed cars around... well nobody buys Mazda's. In fact, with each new Mazda that has come out over the past 5 years, Mazda has lost market share, and people buy less of their cars. You can apply your logic to the trucks market, and ask Nissan, Toyota, and Honda why they don't try hard enough in that market, and the fact of the matter is that people prefer their truck to be a Ford, Chevy, GMC, or Ram. Nissan can come out with the most amazing truck and people still won't buy it. Same applies to the mid-luxury market($40k-$150k), people prefer their luxury car to be from Germany, no matter how great a product comes out of Korea, Japan, America, UK, Sweden, France, or Italy, they don't stand a chance against BMW, Audi, Mercedes, and Porsche. That is why Lexus admitted that chasing the Germans was not worth the investment and Cadillac admitted defeat too. The only market that is fair game in America and everyone has a chance to rake in profits is with SUV's. In this market, even Maserati, Mazda, Mitsubishi, Cadillac, Acura, Infiniti, Buick, Lincoln, DS, Jaguar, and Volvo have a chance. This seems way more conservative than even the current Elantra. Is this really some model for the Chinese market and NOT the new Elantra? Considering the styling of the new Sonata, this seems not to match. Not sure why anyone would say that every new Mazda sells less. The CX-5 has sold more every single year since 2012. Same with the new CX-9 for the past 3 years. same with the CX-3. Of course, their sedans sell a bit less every year, since this is a general market trend. This looks too big to be an Elantra. Sure it's not the Sonata? I don't think gas prices will affect anything, because they are making the smaller CUV's more and more gas efficient. People just need to accept the fact that sedans, for the most part, are done; there market share will get smaller and smaller. The profile screams 2006 Optima...but with Kona headlights. 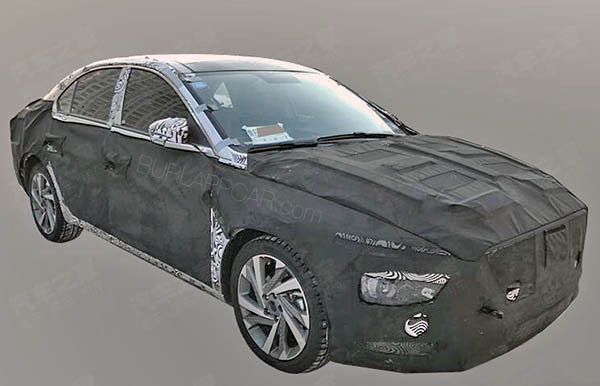 The only thing that would identify this as a Hyundai are those horrible bumper headlights, which seem to not be much of an issue on the Kona or Santa Fe SUVs, but would be way too polarizing on a compact sedan. Not quite. While Mazda’s annual sales have remained fairly steady over the last 5 years (around 300,000 per), over that same time span their overall US market share has gone down, from 1.85% in 2014 to 1.73% in 2018, though last year it did go up .05% compared to 2017. Thinking the new Mazda 3 has this one beat, with the exception of the torsion beam r suspension. The new Forte also has one though, so willing to bet the Elantra will too.